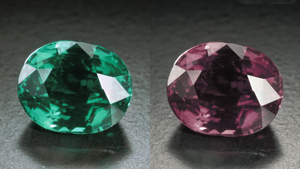 Coloured stone professionals assess fine alexandrites by the extent of the colour change they display and by the quality of the red and green hues they show under different lighting conditions. 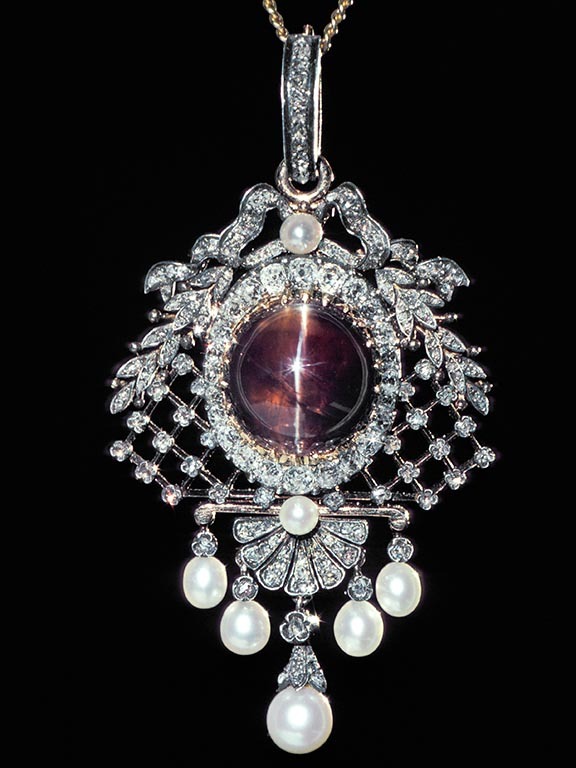 The most-prized alexandrites show a strong colour change from bluish green in daylight and red to purplish red in incandescent light, with moderately strong to strong colour saturation. Alexandrites tend to contain few inclusions. There’s a dramatic rise in value for clean material with good colour change and strong hues. 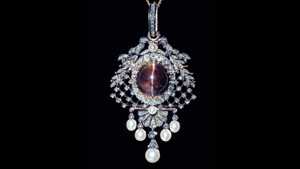 Rarely parallel needle-like inclusions create a cat’s-eye phenomenon, increasing the alexandrite’s value. Alexandrites are most often fashioned as mixed cuts, which have brilliant-cut crowns and step-cut pavilions. 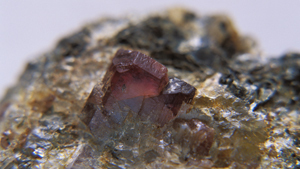 Alexandrite’s pleochroism makes it a challenge for cutters. When fashioning alexandrite, cutters orient the gem to show the strongest colour change through the crown. Most fashioned alexandrites are small, weighing less than one carat. Larger sizes and better qualities rise in price dramatically: Fine-quality stones in sizes above 5.0 carats are very expensive. Natural alexandrite is rare and valuable. An inexpensive gem with a strong red-green colour change is likely to be a synthetic or simulant. 2. Work with a jeweller you trust. Judging the quality of alexandrite requires expertise. Look for gemmological credentials. A jeweller who knows and loves alexandrite will welcome the challenge to find one that’s right for you. 3. When in doubt, get a lab report. For a significant purchase an independent laboratory report can confirm that the alexandrite you are buying is natural. 4. Don’t expect to be able to match alexandrites easily. 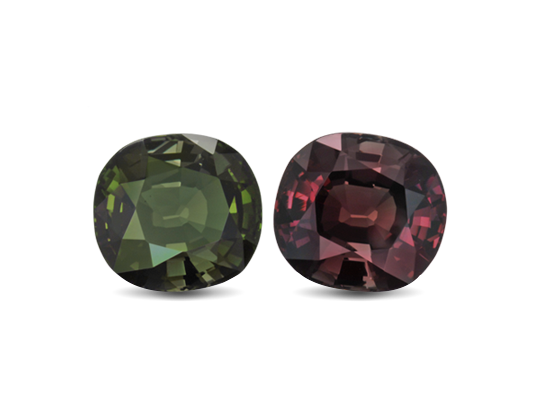 Creating pairs or suites of alexandrite for earrings, a three stone ring or a necklace is very challenging. Matching size, shape, colour and colour change is particularly difficult. GIA doesn’t grade alexandrites. 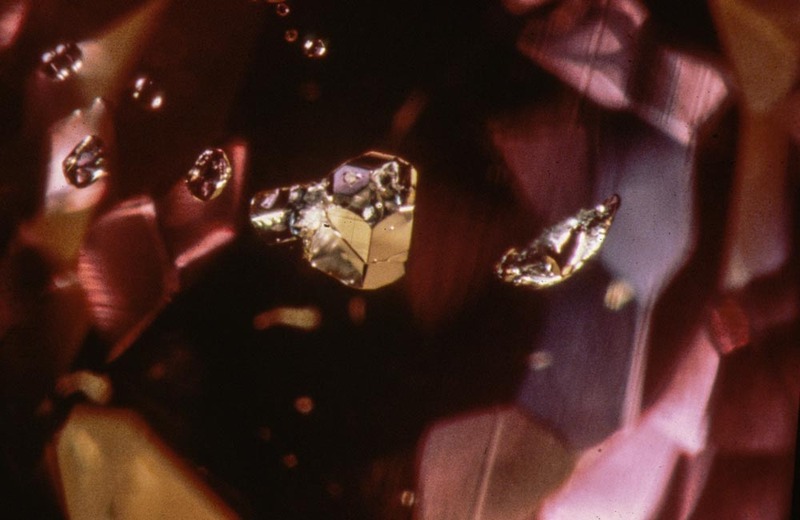 GIA Gemmological Identification Reports assess the characteristics of a mounted or loose alexandrite (weight, measurements, shape, cutting style and colour), say whether it is natural or synthetic, indicate any detectable treatments, and give an opinion on geographic origin, when possible. 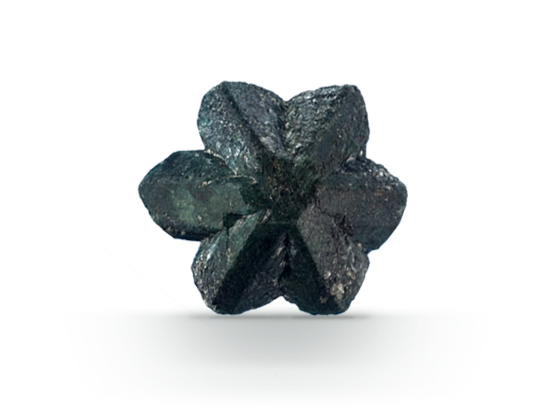 Synthetic alexandrites are generally marketed with the name of the company and the word “created” rather than synthetic. "Laboratory-grown", "laboratory-created", "[manufacturer name]-created" or "synthetic" are all permitted to describe manmade materials in the FTC Guides. Generally this refers to a synthetic sapphire that has been manufactured with trace elements that give it a colour change effect similar to a natural alexandrite. Natural sapphires can also show a colour change effect, but it usually is less pronounced. Keep your alexandrite beautiful by following simple care and cleaning guidelines. Alexandrite is durable—it’s a good choice for rings and mountings subject to daily wear. Alexandrites are rarely treated, but might have fractures. Only clean fracture-filled gemstones with warm, soapy water.